The Posture Prep is not just a tool it’s a technique. Click on the video below of Riley getting Posture Prepped and Loving It! The Posture Prep Cross Fiber Groomer is not your grandmother’s curry comb. This curry comb is designed to complement the Cross Fiber Grooming Technique and System. It is designed to be easy to hold and easy to use, loved by horses and humans. Other products claim to replace curry combs yet none of them are based on a logical system and grooming technique to turn your daily grooming into a pre/post ride, massage, and evaluation. Our video tutorials complimenting the basic techniques are numerous. 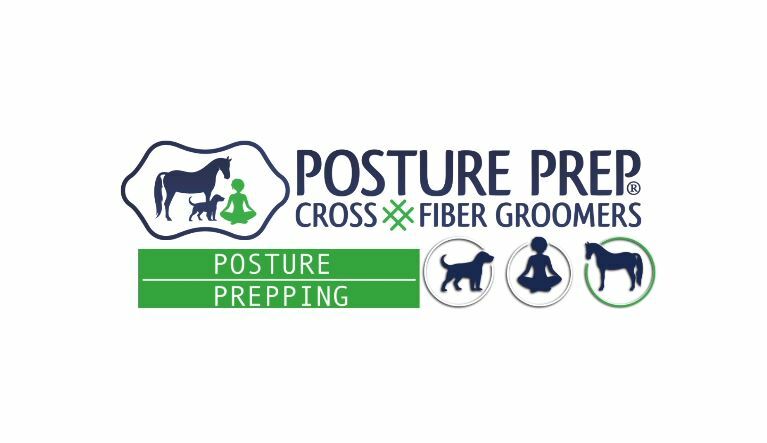 All for the price of the Posture Prep Cross Fiber Groomer Package. What is Included With the Posture Prep Tool? The Posture Prep package includes the Posture Prep curry and the Basic Instruction Guide. The Posture Prep is easy to hold and to use as it contours around your horse’s body, legs, face and hindquarters. Cross fiber massage a technique used even in human massage and therapy. As a result the cross fiber breaks up adhesions, restrictions and scar tissue in muscles, tendons and other soft tissues more often caused by overuse, injuries or trauma. As a result it helps improve joint range of motion, overall comfort, posture and more. Posture Prep Cross Fiber Grooming, aka Posture Prepping, is simple to learn and easy to do. Applying short 3-5 inch curry strokes so you learn to feel and see how the horse responds. The technique is the cross fiber stroke and the system is to go from back to front. This helps to loosen the horse’s skin (his clothes) so he can stretch his head and neck out and down and lift his back. YAY! Preparation is the foundation for success and good posture supports optimum health and performance. Prep for good posture= Posture Prep. Daily Posture Prepping is recommended for the love of the horse. 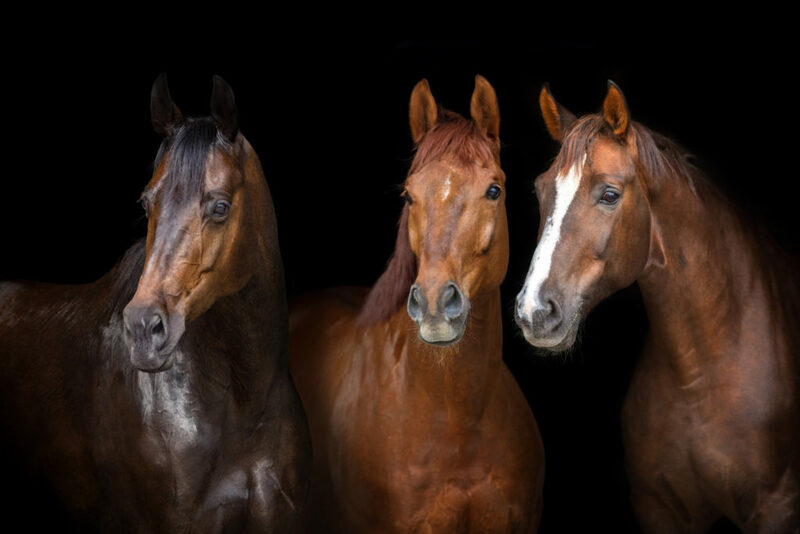 Horses communicate through body language, posturing with the swish of a tail, twitch a nose or ear or just moving into or away from one another’s body or body part. Likewise we as humans read another person’s body language and can know if someone is happy, sad or even sick. What is the difference between Posture Prep and a regular curry comb, gloves or scraper? It is not just a better curry comb, it is a technique and system for improving posture, performance and more. Posture Prep tool is designed to be easy to hold and use with light or firm pressure. The teeth contour around the horse’s muscles, boney areas, legs, and face. As the skin is the horse clothes and the largest organ we want him to be comfortable in his own skin! You can ease his tension, reduce restrictions and discomfort as you to help improve his posture. Good posture is the foundation for optimum biomechanics. Is Posture Prep Easy To Use? Yes! Posture Prep contours to your horse and uses less stress on your hands and elbows than other groomers. Posture Prep has unique teeth lengths, texture and pliability that aid in grooming on and around any bony protuberances like the hocks and points of the hips. 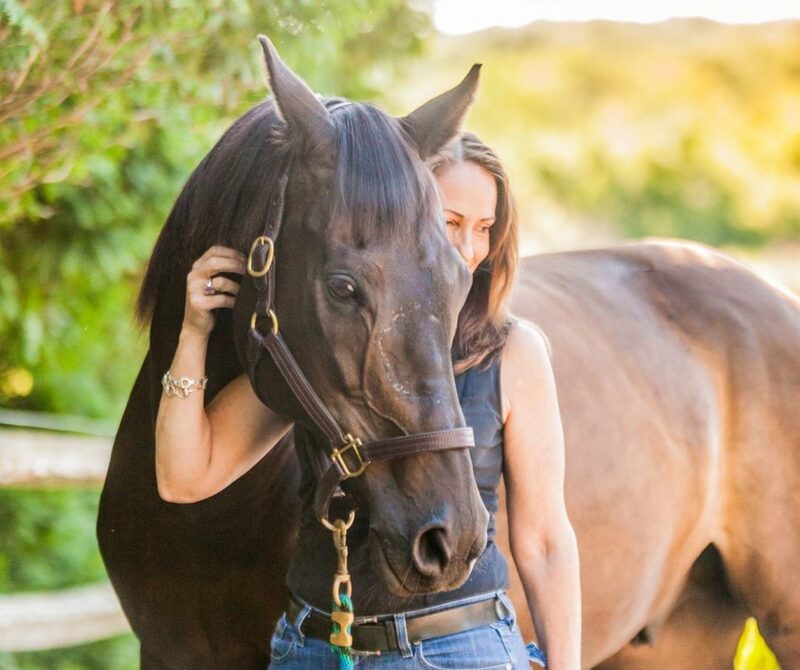 Results can be noticed immediately as you find areas that your horse loves you to “rub on.” As a result you may observe your horse readjust his posture and relax as you groom. Each day you may observe other subtle changes. It is common to see better posture within 2-4 weeks. Remember to goal is to see him standing with all 4-cannon bones on the vertical, more often than not. With this you should see more symmetry in his posture as you daily compare his right side and left side. That being said your should also see better balance in his body and overall comfort. See and feel softer muscles and a stronger top line. Find less “ticklish ” areas of tight skin or muscles. Consistency is a key to cross fiber grooming. Just going back to good old horsemanship and grooming etiquette. What Do I Receive When I Order Posture Prep? In the package, you will receive the Posture Prep tool and the Basic Instruction Booklet to get started immediately. In the booklet is a code to log into the educational site and view a full-length video on how you can access and address poor posture to optimize his conformation. More videos are found on the website and YouTube channel: Posture Prepping. You will view informative, educational, intriguing short videos on topics like how to evaluate and help tennis elbow, rotator cuff and plantar fasciitis in a horse and more. Just a little investment in your time to watch the videos will help you to improve your horse’s performance and decrease incidence of injury. Yay! How Does Posture Prep Massage Work? Stimulating circulation, lymphatic drainage, and acupuncture points. Releasing adhesions, scar tissue and trigger points in muscles. Reducing stress and strain to joints, tendons, and ligament. Improving performance and decreasing incidence of injury. Besides Posture, Are There Any Other Benefits to Using Posture Prep? Many clients have reported the dramatic difference in using Posture Prep before a ride as a pre-ride warmup and evaluation. Consequently your horse will look and feel more relaxed in his mind and body and stand calmer in cross ties. So that the walk /warm-up will be improved making your ride or training more enjoyable, for you and your horse. Massage improves circulation and lymphatic drainage so your horse’s coat will have nice texture and shine. The Posture Prep is a great shedding tool also gathering the loose hair better than gloves or scrapers. You may notice that your horse stocks up less and their legs are “cleaner”. Often better hoof growth is seen with improved circulation and posture. My Horse Has Sensitive Spots, is Posture Prep recommended? Yes! Posture Prep is made from soft rubber so can apply light pressure to loosen the areas or firmer strokes as your horse desires/needs. Find it, feel it, and regularly re-evaluate the sensitive areas. These areas may change as your horse’s daily activities and fitness varies. Most importantly you will become your horse’s best advocate as you evaluate, groom and become a more strategic rider/horseman. How Does My Horse Benefit from Posture Prep? Fact – Good posture starts at the feet. The classic term “four square” should be more precisely defined: “standing with all four cannons on the vertical.” This posture is just good physics/biomechanics and provides the foundation for good posture and function by reducing stress and strain on the joints and soft tissue and joints of your horse. Routine grooming with the Posture Prep System, you will begin to create a special bond with your horse when compared to other traditional grooming tools. As you start grooming through the Zones, you will observe your horse’s sensitive and tense areas and as you release them you will see your horse relax. 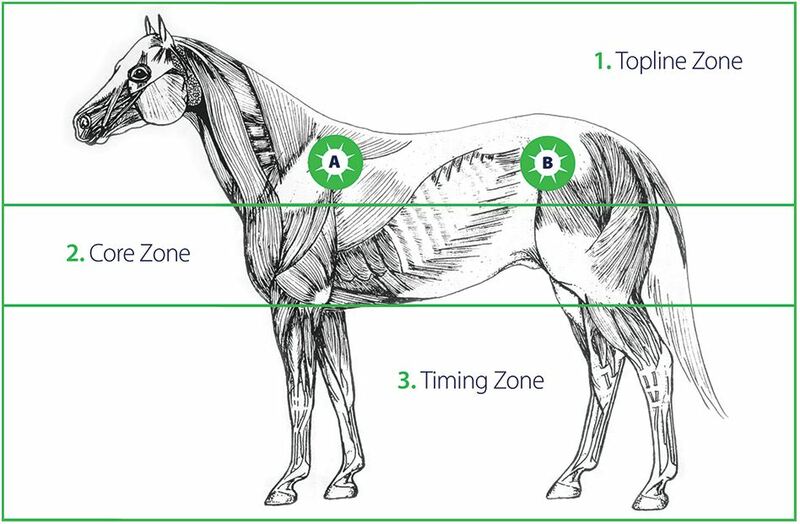 Observing and addressing these areas will help your horse’s performance by helping them to stand 4-Square. Posture Prep tool was invented by a horse lover and owner to compliment the Cross Fiber technique. The system was specifically designed to HELP horses to be the best performers they can be more over to live the best life possible. Dr. Bona has devoted her professional life to developing the cross fiber technique and system to empower the horse and human partnership. For best results, Posture Prep isn’t a one-time-use tool: it’s intended to become part of your daily grooming routine and used consistently you will see changes in your horse’s posture, performance, as well as overall well-being. 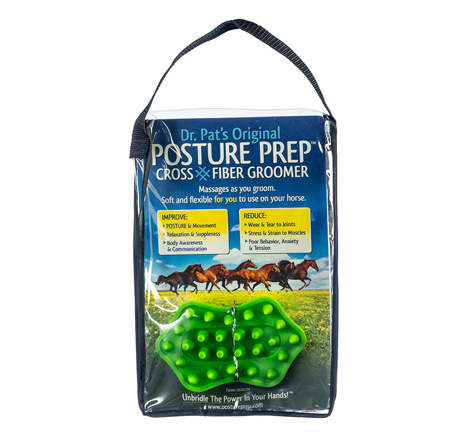 Where Can I Purchase A Posture Prep Cross Fiber Groomer? You can Purchase your Posture Prep by clicking Here! 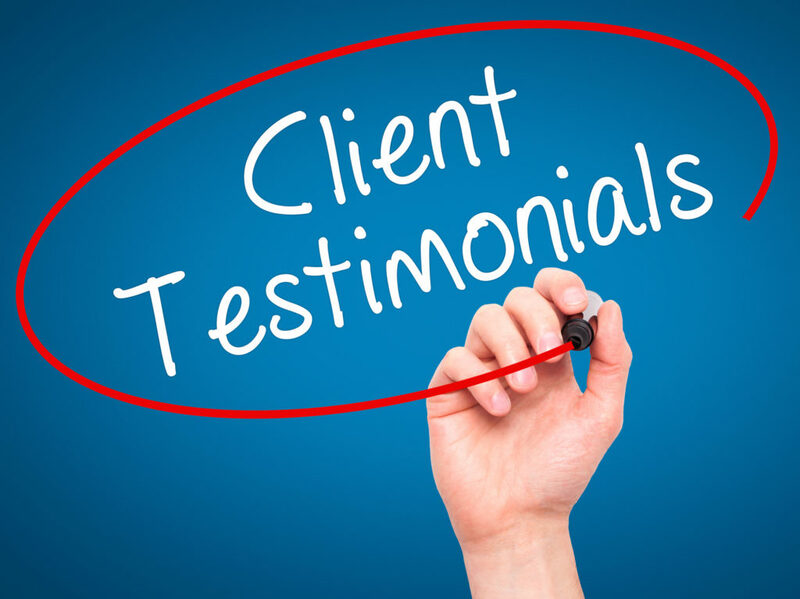 From Facebook to Amazon, users are highly recommending this 5-star reviewed product. By Stacy Bromley Cheetham, MPA Winter is upon us and while your … "Holistic Horse Wound Care for a Winter’s Day"
Recently the online magazine Eventing Nation, released an article “Grooming with Emma Ford: … "5 Grooming Essentials"
By Jaclyn Amaru Some may ask why hoof care is so important, … "Hoof Care Regimens to Help Prevent Problems"